Now you can get Russell’s popular Full Flow Swivel hose ends in a variety of color combinations to personalize any plumbing project. These hose ends also feature a blended 37° radius seat for optimum transition between hose ends and adapters. The hose ends feature a black anodized mirror polished finish paired with sockets (sold separately). The sockets also include the same polished and anodized look, but are available in red, purple, gray, orange and black finishes. These new sockets and hose ends provide a wide variety of color and hose end choices for the consumer – with less inventory investment. 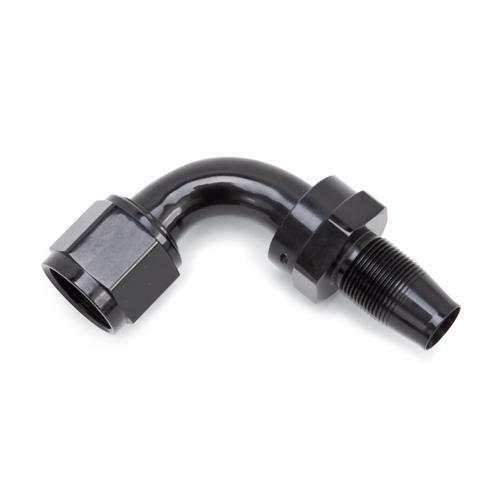 Russell’s Full Flow Swivel hose Ends swivel 360° to allow for a quick alignment of hose end after assembly. These Full flow swivel hose ends are mandrel bent, creating a smooth turn for superior flow. Russell Full Flow hose Ends are made from lightweight aluminum and are completely reusable. They also feature a unique taper design ensuring easy assembly and also offer 37° angled sealing surface which guarantees a positive anti-leak seal.